Bye Bye Bugatti: See The New Fastest Production Car On Earth. American supercar the Hennessey Venom GT has hit 265.7mph (427.6kph) to beat the Bugatti Veyron’s existing record on a technicality to steal the top speed crown. The technicality in question is engine tuning. 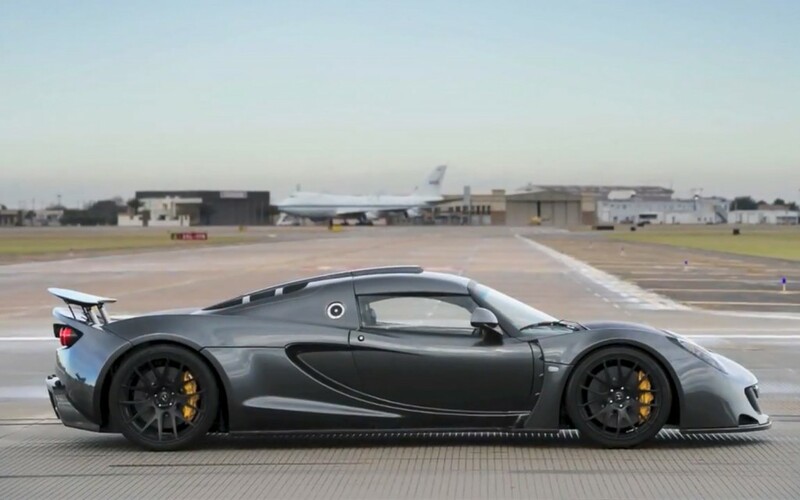 A standard production version of the Hennessey Venom GT managed to come close to 270mph along a 2.9 mile stretch of runway whereas the Bugatti Veyron Super Sport, using Volkswagen’s 5-mile+ straight, got closer still, hitting 267.8 mph (431kph). After setting its record, the production version of the car had its engine slightly detuned so that its top speed would be limited to a mere 258mph in order to guarantee the tires don’t disintegrate. Therefore, though it is still technically the world’s fastest petrol engine car, the Bugatti is not the world’s fastest street-legal production car. 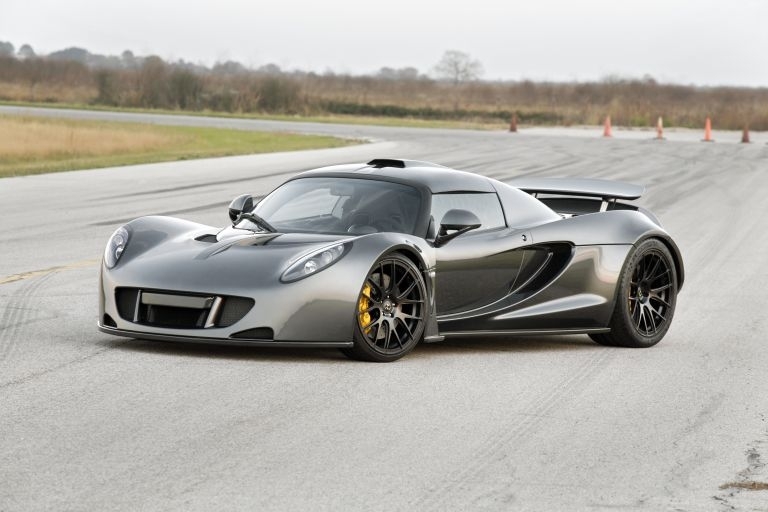 The Hennessey Venom GT was tested in February but the figures have only now been ratified. The car, which is loosely based on the Lotus Exige, is powered by a twin turbo-charged 7.0-liter V-8 engine. It pumps out 1244 horespower and, as the car weighs exactily 1244kg, its power to weight ratio is 1000 horsepower per tonne. In February of 2013, the Venom GT officially became the quickest accelerating production vehicle in the world as it ran 0-300 km/h in 13.63 seconds, thus establishing a new Guinness World Record. The car also managed to go from 0-60 mph in 3.05 seconds and 0-100 mph in 5.88 seconds, and it ran the standing quarter-mile in 10.29 seconds at 158.83 mph. Only 29 Venom GTs are scheduled to be built and each will cost their lucky owner $1.2 million plus shipping, not including options. 1. NOTE; The Second Fastest Supercar is Hennessey Vonom Gt: the record speed is 429.032 KL/N or 266 M.P.H too!